Rhino Linings Australasia joined a trade mission organised by the Australian Automotive Aftermarket Association (AAAA) to several countries throughout the Asia Pacific. The AAAA roadshow, organised with the assistance of Austrade, aimed to promote the expertise and proximity of Australian companies supporting the automotive and transport markets. 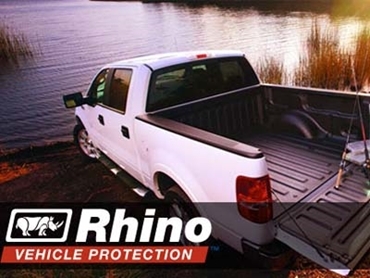 Rhino Linings Australasia (RLA) offers a range of premium spray-applied lining and coating products that provide maximum protection against corrosion, scratches and dents. The coatings form a permanent airtight and watertight bond that inhibits rust, corrosion and surface abrasion. According to Denis Baker, International Sales Manager at RLA, Rhino Linings had joined the trade mission at the invitation of the AAAA. Though RLA has been exploring international sales for some time in the region, their participation in the SE Asia road trip accelerated the process. Travelling through Taiwan, Vietnam, Thailand and Indonesia, Baker was able to meet with a range of companies in the automotive industry during a major trade exhibition in Taipei as well as have private meetings with manufacturers and potential applicators in Da Nang and Bangkok. While in Bangkok, Baker finalised the training for RLA's first applicator in Thailand and was introduced to a major European automotive company that operated a large facility on the outskirts of the Thai capital. According to Baker, RLA’s technically experienced staff in Australia share almost the same time zone as their Asian and Pacific customers, facilitating easy communication. Products can be shipped to the region from Australia in weeks, rather than the months it can take coming from the central states of the USA. In the event RLA support staff is needed on the ground, it is possible to fly them directly from Brisbane to most major Asian capital cities. In Jakarta, RLA concluded the required technical training for Indonesian technicians, with the local applicator completing an order for 41 mine-spec buses destined for West Papua and other Indonesian mine sites. In addition, RLA is shipping product to Indonesia for another large project. While setting up the Thai Rhino Linings applicator, RLA was approached by an organisation in Fiji that was interested in being the Rhino Linings representative for that region. Baker says their first project in Fiji involves 30 vehicles and a factory floor of 1500 square metres. Additionally, RLA is looking at automotive and flooring projects, along with other commercial/ industrial opportunities on the main island. He adds that Rhino Linings' foray into the South East Asian and Pacific regions has been very successful. Rhino manufactures all of their products on the Gold Coast and ships them to dealers and applicators throughout the region. This ensures that their entire network of dealers and applicators, regardless of geographical location, has access to the same product range. RLA assists their dealers in developing best method procedures and practices for chemical handling and machinery used to apply the company's products. The company is committed to the development of new technologies, products and services that offer the best solutions to the needs of customers, applicators and distributors throughout the Asia Pacific region. For further information, please visit the Rhino Linings Australasia website www.rhinolinings.com.au or contact Michelle Gunn at +61 (07) 5585 7000.